Wayne D. Lemke, age 73, of North Wisconsin Street, Port Washington, WI passed away Wednesday, October 25, 2017 at Aurora Medical Center in Grafton, after a courageous battle against prostate cancer. He was born on March 4, 1944 in Port Washington, WI; son of Edmund and Rose Schroeder Lemke. Wayne grew up in Grafton. He served in the US Army from 1961 to 1967, as an ordinance supply specialist mainly stationed in Germany. He was known for his humor and booming laugh that could be heard across a crowded room. He had a reputation for being a rebel and a mischief-maker but those who knew him, knew what a kind man he was. He married Dorothy Dempsey on July 10, 1976 at St. Joseph Catholic Church in Grafton. They had two daughters and Wayne enjoyed staying home to take care of his girls at every opportunity. Over the years, Wayne worked in numerous factories in the area driving forklift in shipping & receiving. Among them were Grafton Foundry, Modern Equipment, Molded Dimensions, Bolens, Simplicity and Kleen Test. 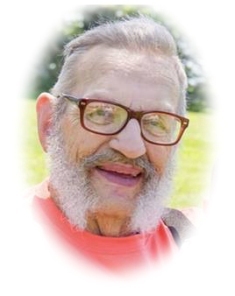 He was an avid bowler in leagues at the former Shannon’s in Grafton and Bley’s in Port Washington, getting the nickname “Whipper.” He enjoyed watching sports, including NASCAR, Little League, golf, and college sports. He liked to go deer hunting with his brothers. Although he was more likely to pick up his binoculars than his gun and enjoy the nature around him. Wayne had been a member of the Belgium Memorial American Legion Post 412 and the Van Ells-Schanen American Legion Post 82, Port Washington, as well as the International Association of Machinists and Aerospace Workers Local 1430. He was an original member of the Ozaukee Guzzlers motorcycle club. This past summer he proudly celebrated 50 years as a flagman for the Ozaukee County Fair Demolition Derby. He is survived by his daughters Elizabeth (Paul Nemchek) Lemke of Port Washington and Catherine (Abe Alcantar) Lemke of St. Paul, MN; grandchildren Graciela Alcantar and Paul Nemchek Jr.; his sisters Marilyn (the late Ladimer) Zidek of Morton Grove, IL, Carole (Arthur) Koepp of Grafton and Donna Widmer of West Bend; his brothers Allan (Carol Ann) Lemke of Green Bay, Henry (Bernice) Lemke of Neshkoro and Warren (the late Norma) Lemke of West Bend, many nieces, nephews, other relatives and friends. Wayne is preceded in death by his parents, godson Joel Widmer, great-nephew Shane Lemke and David Lemke and nephew Paul Melsheimer. A Celebration of Wayne’s life will take place on next Saturday, November 25, 2017 at the Landt-Theil American Legion 601 West Dekora Street Saukville. Military honors at 1 p.m. Followed by music, memories and beer! DJ from 2-6pm by Dan of Party Rocker Entertainment. All are welcome to attend. POOLE FUNERAL HOME/Crematory, Port Washington, WI assisting the family. Information and condolences available at www.poolefh.com or 262/284-4431. I always had the best times with Whipper and Aunt Dorothy when I was dating Paul. I loved his sense of humor & booming laugh. He will be greatly missed because he was an amazing man.